Appearance: Me & keziah only. Actually she was my senior when I was in SRJK (c) Chen Sin, Tuaran. We meet up after a very long time not seeing each other. Hahaha.. funny actually. I have a lot to share about my weekend too. But wait after I reduce all the pictures I have taken. Wah lauu! Am liking the term “portraiture photog”! yeah..i like the term “portraiture photog” too! hahahah.. i loike i loike juga laa.. adeiii..
kirim salam dengan org kat gambar tu ya… hee…heeee. 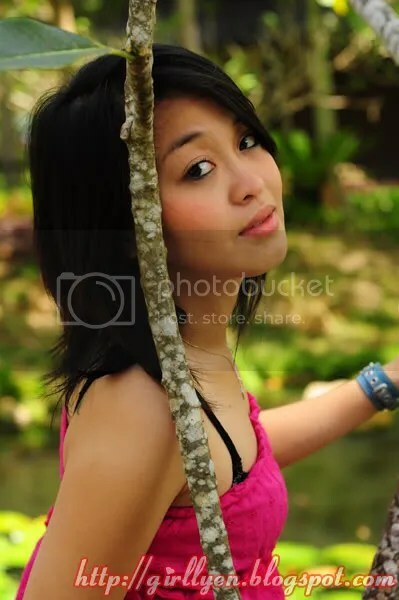 hellow…got to knw ur blog frm my cousin Keziah ~ yep, the wannabe model~ lol~ nice photos!! Nice photos U have here. Actually, yeah, Si Keziah is cute and has a really nice face. Buahaha.. Can’t believe I said it. But that’s the fact. I just feel weird saying that since she was my classmates and I knew her since 20 years ago. Hoho. Sia punya gambar bila ada ni?? Wahaha..